How often can you attend a play — and eat dinner? That’s what happens during the Menlo School production of The Wedding of the Year, which has three performances this weekend. 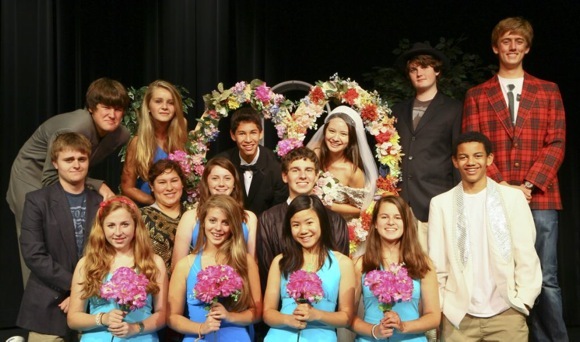 The play’s premise is that the Fantastikini family of New Jersey is hosting their oldest son’s wedding to the daughter of the Tenchmores of Atherton. The food is Italian, and the entertainment is provided by the Rat Pack Band. While the first act (wedding) is largely scripted, the second act (banquet) is improvised.